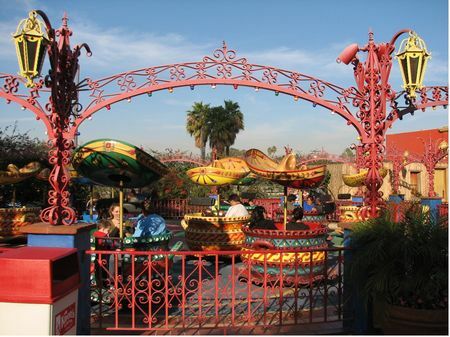 Hat Dance is a flat ride in Fiesta Village at Knott's Berry Farm. While it's not the best, it is also recommended. The minimum height to ride is 36 inches. Tea Cups in a hat, not a cup.